It’s funny how preconceived notions can color your perspective on a place. For all the travel dreams that movies like Lawrence of Arabia and Indiana Jones & the Last Crusade inspired, they also painted the Middle Eastern nation of Jordan as a land of ancient archaeological sites and vast, expansive deserts. It’s not that those images are inaccurate. But, upon visiting the country, you find that they only tell a small fraction of the story. During our 10 days in Jordan, we explored many of its lesser-known natural treasures, all of which are protected by the Royal Society for the Conservation of Nature (RSCN). In exploring these nature reserves– from chilly mountain hideaways and pine forests to lush wetlands– we discovered a side of the Middle East that’s a world away from what you’ll find in tourist hotspots like Jerash, Petra and Wadi Rum. 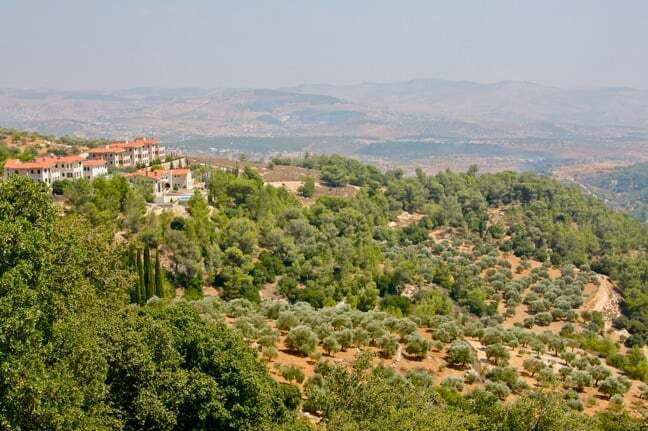 As we headed north from the capital city of Amman, the alien landscapes of the rock-strewn desert gradually gave way to verdant hills dotted with olive trees and red-roofed villas that looked like they belonged in the Italian countryside. 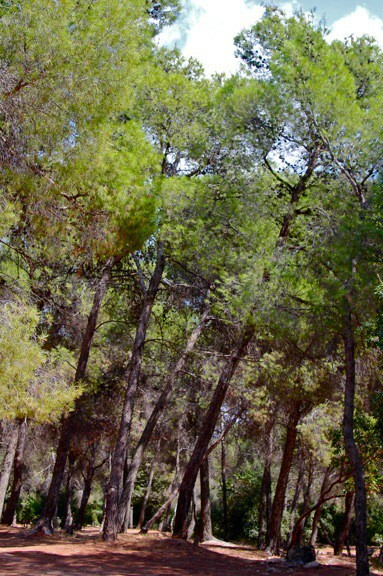 As we climbed higher and entered Dibeen Forest Reserve, we found ourselves surrounded by one of the last pine-oak forests in the Middle East, passing through acres of Aleppo Pine, Palestine Oak, Greek strawberry, and Pistachio trees. 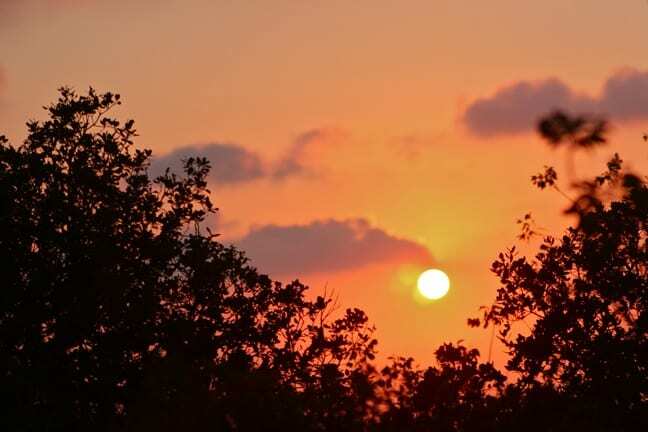 One of Jordan’s newer and smaller nature reserves, the 3.3 square mile Dibeen is home to at least 17 endangered species, including the Persian red squirrel and grey wolves. This was nothing at all like the Jordan we’d expected to see. The rolling hillsides and surprisingly cool climate gave the area a Mediterranean feel, with spectacular scenic vistas from three sides of our rustic mountaintop cabin. There’s a tremendous amount of biodiversity within the reserve, from wild boar and porcupines to red foxes and golden jackals. But the only animals we saw during our sunset hike were birds. At night, though, as dense fog rolled in over the mountains and the full moon cast an eerie glow, I awoke several times to the sounds of striped hyenas cackling in the distance. In the morning, we hiked one Ajloun’s two trails as the sun rose over the plateaus below, with the glowing haze blanketing the valley making for some striking scenery. Eventually dawn’s pastoral silence was interrupted by the sounds of workers building new cabins and an upgraded restaurant, and we rendezvoused with our guide, Ali, for the next leg of our journey. If you’ve only ever seen an oasis in the movies, nothing can really prepare you for the sight of an Eden-like haven smack dab in the middle of the desert. Though there’s little but limestone to the west and basalt to the east, Azraq’s (Arabic for “blue”) lush marshland and sparkling waters reminded me more of the Florida Everglades, with dragonflies and butterflies flitting hither and yon. 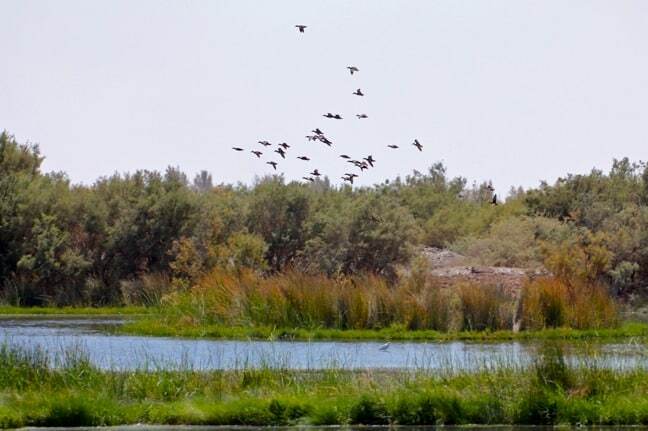 The 4.6 sq mi Azraq Wetland Reserve has been a crossroads for both birds and caravans migrating along the trade route between Africa and Europe since ancient times, but in 1992 the natural springs dried up completely. 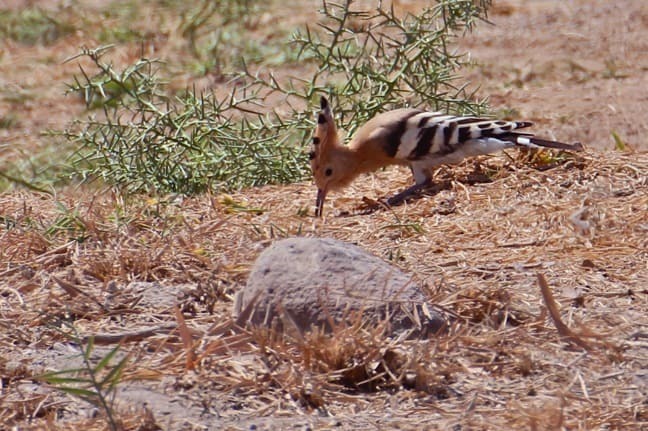 Today, artificial springs keep the area a tourist attraction and provide a home for nearly 300 different bird species, including the Hoopoe, Cetti’s Warbler, Green Beecatcher and Little Ringed Plover. There are also 27 water buffalo in the reserve, as well as foxes and the occasional gazelle. Unfortunately, the RSCN is struggling to keep the Azraq Wetlands from going the way of the dodo. Jordan has a rapidly growing population and severe water shortages, with 25% of the people in Amman getting their water from this area. The 10 million cubic meters of water currently being pumped into Azraq annually are in high demand. According to reserve manager Hazem Al Khreisha, there are over 800 illegal wells (most owned by the wealthy) exacerbating the problem.